The CPSA (Clay Pigeon Shooting Association), holds Young Shots Days during the school breaks and Southdown Gun Club and Shooting School are pleased to be affiliated to the programme, and is the shooting school to attend if you want to take part in the Sussex area. These popular school holiday events are usually held at Easter and again in the summer. These are popular days out for your youngsters and a great introduction to Clay Pigeon Shooting or as refresher for those youngsters that may have a bit more experience. The day is fully structured and supervised by our CPSA qualified instructors, who will provide the very highest level of instruction, included in the tuition price are all the clay targets, cartridges, use of a suitable shotgun, all necessary safety equipment, lunch and refreshments. The day starts at 10:00 hrs with some class room activity, which includes some very important gun safety information and a basic introduction to shotguns and clay shooting, before we go out on to the range for the first shooting session. After lunch and depending on the skill levels of the participants, we may hold a mini competition in the afternoon, with a prize for the highest scorer. We aim to finish the day at approx. 15:30 hrs. 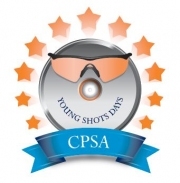 The CPSA Young Shot Day is suitable for all children, girls and boys aged from 10-16 years and no previous experience is necessary. The numbers at these events are strictly limited, so it is advised that you book your child in early to avoid disappointment, we advertise these events on Facebook and here on our website. Our Next Young Shots Day is Thursday 11th April 2019!